The 2019 FIA World Touring Car Cup begins in Marrakech this weekend, and Rob Huff is back for what will be his sixteenth season as a professional touring car driver. The 39-year old has enjoyed an amazingly successful tin-top career after making his BTCC debut with SEAT Sport UK in 2004 – his prize for winning the previous season’s single-make SEAT Cupra Championship. He moved to the WTCC in 2005, where he enjoyed eight seasons with Chevrolet – becoming world champion in 2012. He has since driven for a number of teams and manufacturers, including Lada and Honda, before switching to Volkswagen in 2017. This year the Cambridgeshire ace is driving a Volkswagen Motorsport Golf GTI TCR for the Sébastien Loeb Racing. And with seven FIA world title winners amongst the 26 drivers (and cars from seven different brands) taking part in the opening race around Morocco’s Moulay El Hassan street circuit – including the likes of Andy Priaulx, Yvan Muller Augusto Farfus, Johan Kristoffersson, Gabriele Tarquini, Tiago Monteiro and Norbert Michelisz – Huff reckons that this season will be one of the most competitive he’s ever raced in. “The field is really impressive, certainly the best there has ever been,” says Huff. “Last year, seven or eight drivers were in contention. In 2019, it is sure to be twice as many. 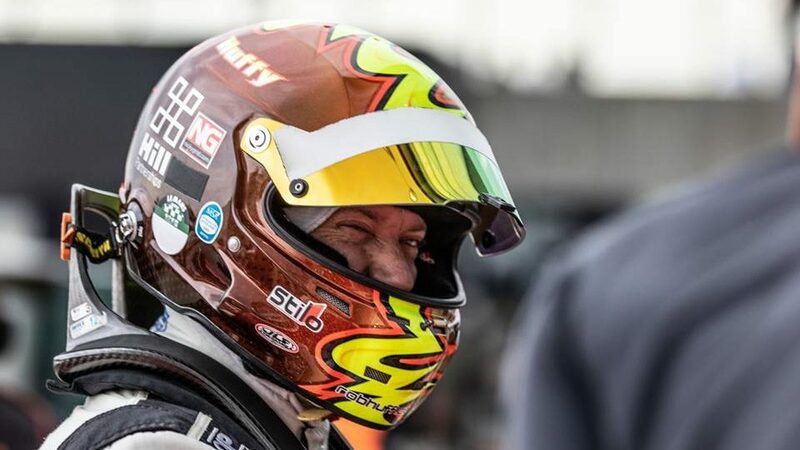 Rob Huff wears a Stilo ST5 F Zero 8860 helmet fitted with a red Iridium visor – all supplied by Nicky Grist Motorsports.